The invention of gramophone and cylinder records by Thomas Alva Edison in 1877 marked the dawn of a new era in the world of music. In 1898, Emile Berliner introduced the flat discs for recording. Initially, all recordings were done through voice horns which were replaced by electrical carbon microphones in 1925. Then came the magnetic tape, followed by vinyl discs 45 rpm and 331/3 rpm turning the old 78rpm shellac records into antique pieces. The gramophone era lasted until 1940 when film music took over. Gramophone stars who failed to become playback singers soon lost their stature in the music world. The first recording of Indian voice was done in 1899 by F.W.Gaisberg in the Gramophone Company’s studios at London. The old catalogue mentions the names of singers as Dr Harnamdas, Capt Bholanath, Hazrat and Ahmed, then living in London. They sang or recited in Persian, Hindi and Urdu but, unfortunately, none of these records have been traced so far. Considering the great potential of this industry in India, the Gramophone Company set up its office in Calcutta in 1901. Within a year or so, its leading technical expert F.W.Gaisberg landed in Calcutta with his recording team. At that time, they had to go wherever the performing artistes were located. Within six weeks they travelled to different parts of India and recorded over 600 titles. Most of the artistes were professional female singers who agreed to special training required for gramophone recording. Within a few years, many recording companies appeared on the scene but the Gramophone Company, with its trademark of an image of a dog listening to a gramophone horn with a ‘His Master’s Voice’ label enjoyed a virtual monopoly in India until the 1970s. In the early years all recordings were done through acoustic technology through brass horns and the artistes were expected to sing in a loud voice. It was later in 1925, that the electric carbon microphone brought into fashion a new practice of recording folk and comic songs, devotional numbers and even full drama series with dialogues. We are indebted to Michael Kinnear, a famous discographer of Australia, for his documentation of early Indian recordings in the first few decades of the 20th century. Gauhar Jan was the first gramophone singer who became famous all over the country. Gauhar Jan of Calcutta, who became a legend at the turn of the century, was the most accomplished singer and dancer of her time. She belonged to a world of grandeur and refinement in which the princely ‘durbars’ and salons (kothas) of courtesans (twaifs) were the hub of performing arts. Gauhar was born in 1875 in Allahabad. Her mother, Allen Victoria Hemming, was an Albanian, married to one William Robert Yeoward, an employee of a Calcutta firm. After her divorce in 1879, the mother moved to Banaras with the daughter, where they embraced Islam. The mother assumed the name ‘Malika Jan’ for herself and that of ‘Gauhar Jan’ for her daughter. Malika Jan learnt singing and dancing and soon achieved name and fame as a professional artiste. She wrote Urdu verses and became a poet of distinction. Gauhar, who began learning music and dance in childhood, was tutored by the great maestros of the day like Kalu Ustad of Patiala, Wazir Khan of Rampur, Ali Baksh and Brindadin Maharaj. She also learnt from her famous contemporaries like Peara Saheb and Mojuddin Khan. Her maiden public performance in 1887 at the age of 12, before the Maharaja of Darbhanga, marked the beginning of her career. She had a pretty face, lustrous eyes, graceful figure of medium height, long black hair and a melodious voice – all of which contributed to her success as a performing artiste. She became a poet and wrote under the nom de plume "Gauhar". She could read write and sing in Bengali, Urdu, Gujarati, Tamil, Marathi, Arabic, Persian and English. Dominating the Calcutta entertainment scene for decades, Gauhar surpassed all other leading singers and dancers of her time with her flawless technique of rendering songs and display of rhythmic movements of the feet and the hands. Her facial expressions conveyed the various emotions of the song. The first Indian artiste invited for recording by the Gramophone Company, she was paid a handsome fee of Rs 3,000, asked to sing for three minutes and announce her name at the end of the recording. In 1911, she was invited along with Janaki Devi of Allahabad to sing at the Coronation Durbar of King George V at Delhi. Her bhajans like Radhey Krishna Bol Mukhse became popular and many other singers sang them in concerts and on records. She recorded over 600 songs from 1902 to 1920, contributing to the foundation of the Gramophone Company in India. She popularised light classical music, thumri, dadra, kajri, chaiti, bhajan, tarana etc., and mastered the technique of rendering a melody in just three and a half minutes. Known for her jewels and glamorous attire, she moved about in Calcutta in an ornamental carriage drawn by four horses. A legendary performing artiste, she hardly finds a mention in books on Indian music and dance. Her legacy is preserved in her gramophone records. Thanks to the Society of Indian Record Collectors of Mumbai, a discography of Gauhar Jan’s records was published in 1993 in their journal The Record News. In 1994, the Gramophone Company issued a CD/ tape containing 18 songs. Her most popular thumri sung in Bhairavi is Mora nahak laye gavanava, jabse gaye mori sud huna live. A beautiful woman with an appealing voice, little is known about her except that she hailed from Azamgarh in UP and learnt music from the great ustads of Agra. She is said to have joined the court of the exiled Awadh Nawab Wajid Ali Shah at Calcutta. Later, she was patronised by the Calcutta music lovers like Seth Dulichand and Shamlal Khatri. As the story goes, she was in love with Ustad Faiyaz Khan who was much younger to her. She developed a new style of thumri singing with a full-throated voice. Proficient and accomplished in different musical formats, from dhrupad khayal to thumri, she was equally adept at hori chaite kajri and ghazal singing. She recorded over 100 songs and at the end of each record she announced: "My name is Malka Jan." Admired by her contemporaries both for her singing and colourful personality, she was acknowledged as the reigning queen of mehfils in her time. Some of her recordings were reissued in 1994 on audiotapes and on CDs. These include her two most popular numbers Beete jat barkha ritu sajan nahin aaye (Raag Des) and Papihara piu piu kare (Raag Sawan). A contemporary of Gauhar Jan, Zohrabai learnt music for her father, Ahmad Khan, an expert sarangi player of Agra. She received further training from ustads Mehboob Khan and Kale Khan of the Agra Gharana, noted for its rich repertoire and lyrical charm. A celebrated representative of the Gharana, she dominated the music mehfil in the early 20th century. She had mastered the art of projecting the raga within the recording time of three minutes, the first artiste to perfect the formula. A trendsetter of her time, even maestros like Faiyaz Khan and Bade Ghulam Ali Khan appreciated her singing style. She chose the best bandishes of various ragas and was equally adept at singing thumri, dadra and ghazal. She was recognised by critics as the topmost khayal singer of her time. Veteran musicians acknowledged her musical prowess along with her beauty and manners. Her gayaki was noted for its traditional flavour and vigour as well as emotional touches. The Gramophone Company signed an exclusive contract with her in 1908 with a payment of Rs 2,500 per year for 25 songs. She recorded over 60 songs during 1908-1911. In 1994, her 18 most famous songs were reissued on one audiotape followed by a compact disc in 2003. Among her famous songs are Koyalia kook sunade and Arz suno mori dastgir. Born in Banaras, Jankibai and her mother were deserted by her father. They came over to Allahabad and joined the team of a rich kotha singer. 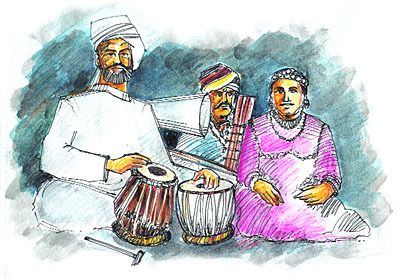 Jankibai received intensive music training from the famous Ustad Hassu Khan of Lucknow. Her nickname Chhapanchhuri is attributed to the 56 knife scars she got from some jealous ruffian. Though not good looking, she was endowed with a very melodious voice. A very accomplished artiste, she was adept not only in singing but also in writing verse and composing music. She engaged teachers to learn Urdu, Persian, Sanskrit and even English and acquired sophistication and style. 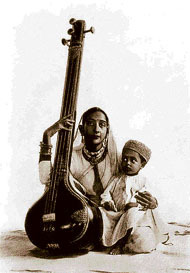 In 1911, Jankibai performed with the legendary Gauhar Jan of Calcutta. There is an interesting anecdote about her encounter with the ruler of Rewa. When she was invited to perform, there was a whispering campaign about her lack of good looks. Jankibai’s condition was that she would sing behind a curtain. But the moment her glorious voice was heard, the Maharaja ordered the curtain to be removed. Jankibai told him, "Maharaj fankar ki soorat nahin seerat dekhi jati hai" (Sir, the artiste should be judged not on the basis of her looks but her accomplishment). Along with name and fame, she acquired considerable wealth and owned vast properties in Allahabad and lived in affluence, with armed bodyguards. 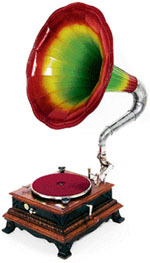 The HMV recorded over 250 songs on 78rpm discs during the period 1910 to 1930. She was paid Rs 250 for her first recording of 20 titles in 1907 at Delhi. Her fee was raised to Rs 900 for 24 titles in 1908 at Calcutta. Jankibai received Rs 1800 for 22 titles in 1910. Some new recording companies like Beck Record, Pathephone and others offered her up to Rs 5,000 per year but she turned them down and decided to give recordings on a song-to-song basis. By 1920, she was at the zenith of her popularity. There was magic in her voice and its range was said to be up to two miles. According to one report, there were traffic jams when her records were played at a shop in Allahabad. Several of her records registered a print order of more than 25,000 copies each. She was invited by princely courts and paid Rs 2,000 for each performance. When the acoustic recording was replaced by the electric, many of her popular songs were re-recorded and issued in 1931. She specialised in light classical music like thumri, dadra, hori, bhajan ghazal etc., and announced, "Mera naam Jankibai of Allahabad" at the end of each record. She died in 1934 and willed her wealth to a trust for using it for the welfare of the poor and needy, with a provision that the trustees should be both Hindus and Muslims in equal number. In 1994, some of her songs were reissued by the HMV One of her famous numbers was Bin badal bijuri chamki, bin badal. Born in Pune to a poor family, Sundrabai had no formal education but learnt to read and write Marathi. There is not much information about her early life and career. She picked up folk music and then bhajans, which she sang in a temple. She then landed in Marathi theatre and even got a role in the Prabhat Company’s film Manoos (Aadmi). After becoming famous in Maharashtra, she travelled to Delhi, Lucknow and Banaras and learnt Urdu and Hindi. She took lessons from Dhaman Khan, an accomplished tabla player in light classical thumri, hori, kajri, chaiti and ghazal. She emerged as a high-ranking artiste in Bombay music circles. She was even invited by the Nizam to perform in his durbar at Hyderabad. The HMV began recording her from 1921 in the acoustic era when she had to shout into three horns set in front of her. She felt as if her voice was being snatched away from her. Some of her bhajans like Mora bansiwala kanaiha and Radhey Krishan bol mukh se had record sales. Around 1928, she was awarded a gold medal by the HMV for topping the sales chart. She recorded about 180 songs on 100 78rpm discs from pure classical ragas to thumris, ghazal and bhajans. In addition to Marathi, she also sang in Hindi, Urdu, Farsi and Bhojpuri. Sundrabai was able to make her mark in all mediums, from stage to concert, radio and film music. She was also a high-ranking artiste with the Bombay Radio Station. She kept two cars and even occupied an entire floor of Empire Hotel near VT Railway Station in Bombay. Some unscrupulous persons deceived her by setting up a record company, which was a total failure. This left her bankrupt. She was forced to seek employment at the Bombay Radio Station, whose then Director Z. A. Bokhari appointed her as an advisor. She continued to work there until her death in 1955. A forgotten artiste by that time, no one in the media made even a mention of her end. She is, however, still alive through her songs, which continue to enchant music lovers. Recently a CD containing 16 songs was issued by the Sa Re Gama Company. Hailing from a family of musicians, Peara Saheb got his early training in music from his father, a musician at the court of Wajid Ali Shah of Lucknow. He had moved with him to Matiaburj near Calcutta in 1856. Peara took lessons from a number of court musicians and also learnt kathak. Master of both classical as well as thumri, dadra, ghazal, Peara Saheb was the most popular male artiste of his time. Like his contemporary, the legendary Gauhar Jan, he commanded a high fee for his performance at private concerts organised by the aristocracy of Calcutta. Large crowds assembled to listen to him. He joined the services of his patrons from the Tagore family. He was the only male artiste of his time to be wooed by the HMV who managed to obtain the permission for recording him during 1905-1910. A most prolific HMV singer, Peara’s songs were so popular that they were re-issued several times to meet the rising demand from his fans. His singing career ranged from 1905 to 1940, during which he sang over 450 songs on more than 300 discs of 78 rpm in classical and other popular styles. A rage in Calcutta, Bombay and Lucknow, even his ticketed concerts attracted huge crowds. At the Muslim League Conference in 1916 at Calcutta, he sang the famous Sir Iqbal’s Tarana Chino Arab Hamara, Hindostan Hamara, Muslim Hain Ham Vatan Hai Sara Jahan Hamara. Some of his songs were reissued by the HMV in 1994.